With the influx of Millennials and Generation Y fully immersing themselves in today’s workforce, this cohort and its evolving needs are interacting with more-entrenched Generation X and Baby Boomers. Combined with increased awareness regarding wellness initiatives, sustainability and the ever-evolving world of technology, there is a fascinating impact on the world of office design as we know it in 2019. There’s never been more options for the consumer in terms of where to stay when they travel. This has hoteliers needing ever-more to stand out and ensure the guest experience far outweighs that of a cheaper Airbnb rental. Because of this, hotel design is now playing a bigger role in a hotelier’s marketing strategy. Maggie’s West London, a cancer care center on London’s Fulham Palace Road, features StoTherm ci Mineral. Sto Corp looks at expert opinions on using colors in architecture and their effect on the human psyche. Construction industry statistics from 2017 reveal future issues and trends to watch. A picture is worth a thousand words, but statistics are also compelling — especially in an industry that’s driven by numbers. The following numerical data, as reported by Construction Dive, are based on a recap of 2017; they are noteworthy in billboarding the near future for construction. $1.6 trillion — The opportunity cost, according to McKinsey Research, of the construction industry’s hesitation to adopt new technology. While new technologies are making inroads in the construction market – drones, and high-tech, virtual reality & AR wearable devices – the industry remains somewhat old-school and slow to adapt, thus missing opportunities to grow the market. $200 billion – According to Moody’s, the estimated damage from Hurricanes Harvey and Irma that ravaged Texas and Florida this year. The stat is a strong argument for resilient design and planning for extreme weather events and rising sea levels. $5 billion — The amount of money Amazon is planning to put into its second headquarters (HQ2) building, location TBD. 1,200 — The number of concrete buildings that fall under Los Angeles’ seismic retrofit ordinance, which is the first of its kind in the country. Another tale of governmental policies that are shaping the construction industry and driving resilient design standards to ensure public safety, while protecting property owners’ investments. 76 — The percentage of U.S. construction companies that indicate the tight labor market will stay the same or worsen throughout the year. This statistic, unveiled by the Associated General Contractors of America, bodes well for next-generation practices such as off-site construction, prefabrication and modular assembly, that have proven to help mitigate the industry’s persistent skilled labor shortage. 56 — The average age of the more than 90,000 dams in the U.S. The Association of State Dam Safety Officials estimates the necessary work on the country’s non-federal and federal dams would cost more than $64 billion. Now there’s a construction market opportunity! 3 — The number of months it took to 3-D print a 26-foot-long concrete bridge in the Netherlands comprised of 800 layers of reinforced, pre-stressed concrete material. 3-D printing and comparable new technologies are changing the building industry. More offsite construction and increased use of modular components are two trends anticipated in 2018. After a robust 2017, commercial construction companies are anticipating an even stronger 2018. Trends for this year, include a continuing rise in offsite construction as well as increasing reliance on technology. Another emerging phenomenon is the increased focus on resilient design following the most destructive hurricane season on record and devastating fires and mudslides in California. The focus on strengthening structures is driven by the disastrous weather events of the past year. 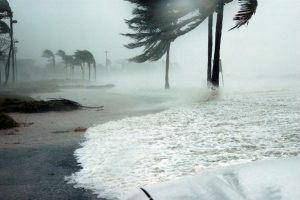 Hurricanes, heat waves, cold waves, flooding, tornadoes and wildfires took their toll, with a nationwide financial hit estimated at $400 billion. Rather than constructing duplicate replacement structures, more property owners will likely demand resilient site and structure features, heeding the advice and support of organizations such as the U.S. Green Building Council. New projects are likely to mimic resilient construction that is already underway, such as re-evaluating building codes and redefining flood zones in Florida and Texas and fire-resistant construction in California. The construction industry will continue to grapple with a tight supply of skilled craft workers as younger individuals shun construction as a career option, baby boomers retire and the federal government reverses the tide of immigrant labor from Mexico, Central America and the Carribbean. With industry groups continuing to lobby lawmakers for funding for trade education programs to help create a construction industry labor pipeline, these efforts could pay off and help ease the problem. Meanwhile, the industry is turning to alternative construction methods to compensate for the shortage of skilled labor. Offsite construction and prefabrication, for example, are helping mitigate some labor issues, often reducing labor demands by as much as 50%. Increased use of modular construction in 2018, could also reduce the need for additional workers. A growing number of U.S. contractors are partnering with prefab companies to incorporate offsite construction into their operations. Suppliers, too, are building up offsite capacity and developing products to help streamline operations. With companies like Google, Autodesk, Marriott and Starbucks embracing offsite construction, so are investors who hope offsite will improve construction industry productivity and returns. As offsite components increase project speed, they are leading to greater collaboration between general contractors and offsite fabricators. With large companies like Turner Construction and Gilbane adding project manager roles for offsite, this delivery method is projected to gain momentum. Cities are making big investments in transportation, integrating it into other public infrastructure upgrades. Nashville, TN, for example, proposes to spend $5.2 billion on an infrastructure and transit plan. Minneapolis’s $1.9 billion Southwest light-rail and Boston’s $2.2 billion overhaul of the area’s Green Line light rail are two other notable investments in transportation systems. In addition to traditional rail and bus systems and tunnels, high-speed maglev trains and hyperloop systems are also trending. Automation and related technologies such as 3-D printing are changing construction practices dramatically. Consider Europe’s first 3-D printed building in Denmark, a 3-D printed concrete bridge in the Netherlands, and the 3-D print concrete turbine towers planned in California. According to Construction Dive, construction technology was the “Trend of the Year” in 2017. It’s not going away; in fact it looks to be ramping with factory-based construction automation and standardizing design and construction, creating a continuum of services. New policies at the federal and state level will continue to shape the industry. New York City now requires construction workers to undergo at least 40 hours of safety training. Los Angeles instituted a new seismic retrofit ordinance that will impact an estimated 1,200 older concrete buildings. As always, policies and politics will impact the construction business. While last year saw the addition of new, high-tech campus facilities at Google and Apple, a second new North American Amazon headquarters complex will likely fuel increased momentum for similar expansions in 2018. Microsoft is slated to begin a multi-billion-dollar redevelopment of its existing Redmond, WA, campus later this year; Marriott and General Electric are also expected to break ground on new headquarters developments. As more firms continue to expand their facilities, many are also likely to add infrastructure needed to support their operations. Data center construction is an especially fast-growing sector, as companies amass unprecedented amounts of information. By the first half of 2017, data center investments had already doubled those made in 2016, coming in at $18.2 billion. With mixed-reality headsets, such as Microsoft’s HoloLens, and wearable devices, such as Triax’s Internet of Things-enabled sensors, high-tech wearables and both augmented and virtual reality will continue to make inroads, transforming job sites. Two of the greatest benefits these technologies offer are safety and efficiency — areas where the construction industry has struggled in the past. Beyond the innovations and investment in con-tech, it’s also possible that technology will help attract younger workers who are captivated by the technology in-roads impacting construction, such as the increasing use of drones on survey sites. One thing is certain: the industry buzz can’t hurt.